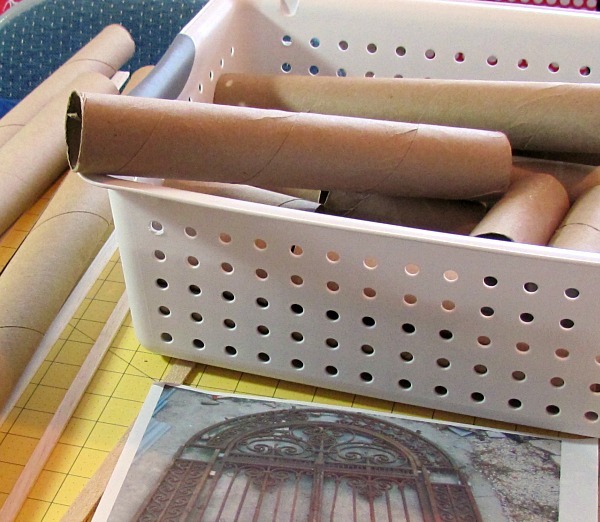 How to make a Faux Iron Gate from Paper Tubes! And you have one guess as to what it is made from…. Well, if you are familiar with The Sitcom at all, then you probably already know that you are looking at a whole bunch of toilet paper tubes! This time I was inspired by a photo of an old rusted iron gate, and I just had to pull out all those toilet paper tubes and recreate it. 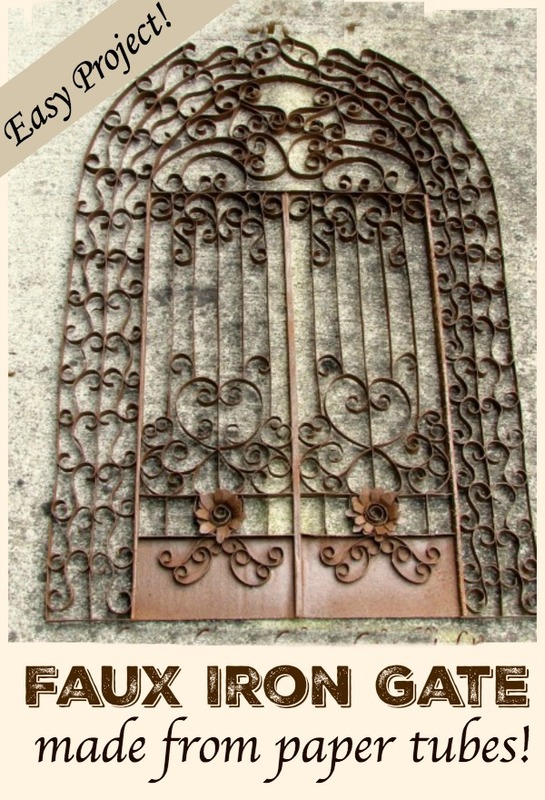 I was inspired by a photo of an old iron gate, so I wanted to not only try to recreate it, but I wanted it to look rusty and old. 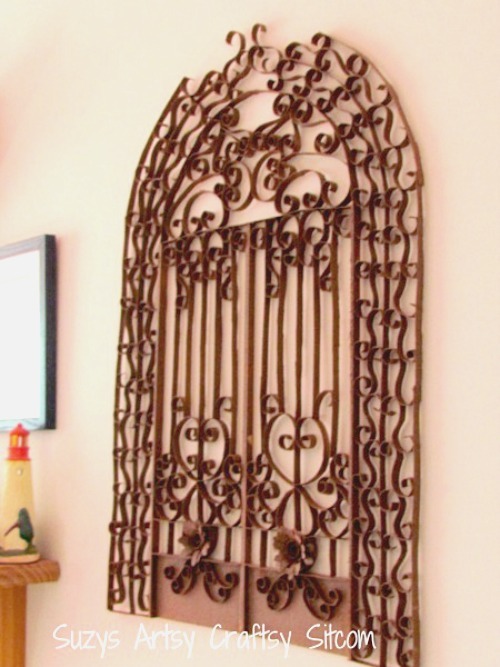 The final project measures 19″ wide, by 28″ tall. I began by cutting my 3/8″ balsa wood into 4 ea. 21″ long pieces. These are the main frame of the piece and help to keep it sturdy. 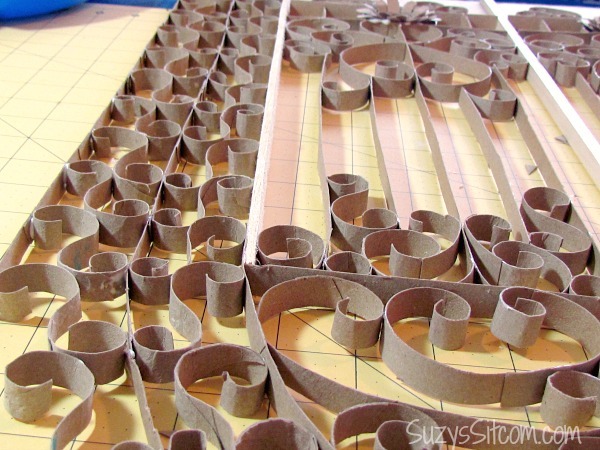 Although once all the cardboard is glued together, you’ll be surprised at how sturdy the whole piece will get. I used my graph board to line everything up, each gate being 6″ wide. 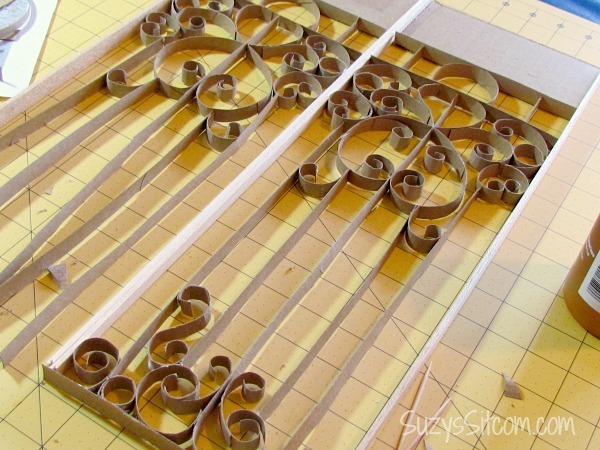 I cut two pieces of cardboard 6″ wide x 3″ tall for the base of each gate, glueing everything together with tacky glue. I used tacky glue for this project for two reasons. It bonds quickly and makes for a super strong finished project, and it does not leave all the messy strings of hot glue. 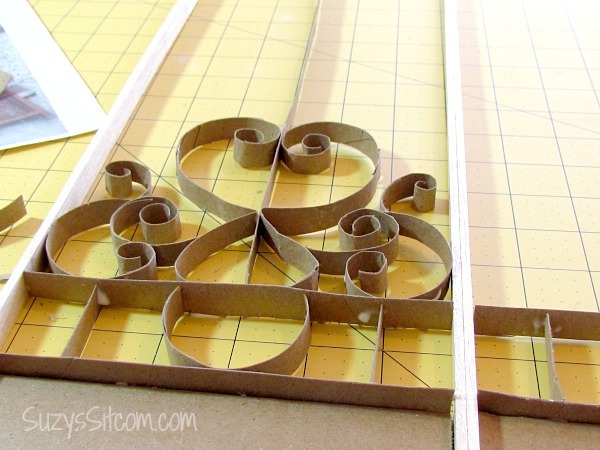 It is awesome for paper projects such as these. As for the design of the gate, I just went with what looked good to me, cutting the toilet paper tubes once lengthwise, and then cutting them into 3/8″ strips horizontally. 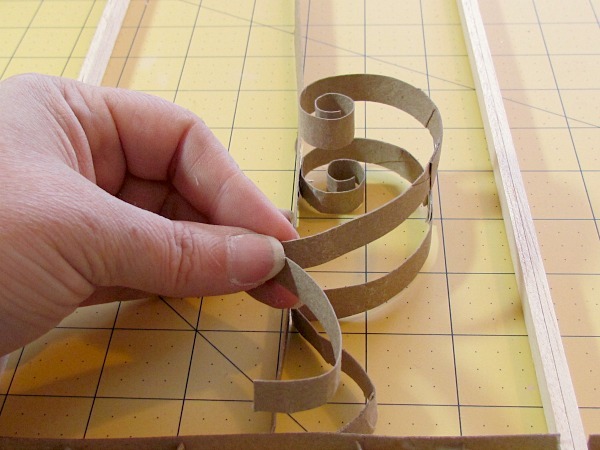 Those strips can be easily curled with the end of a paintbrush. 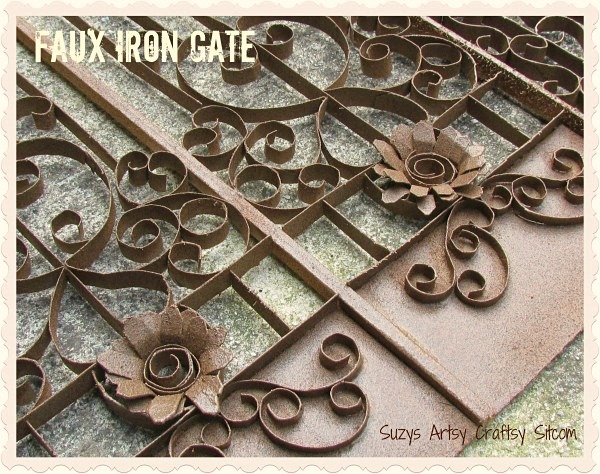 The straight pieces and curve at the top of the gate were created by cutting paper towel tubes lengthwise in 3/8″ strips. 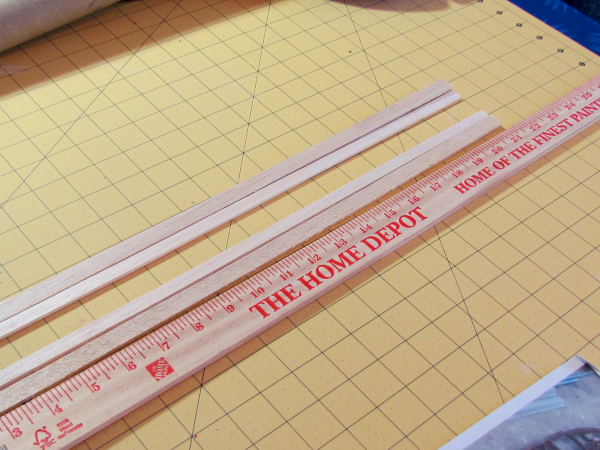 Where I needed particularly long strips, I simply glued several strips together. Glue curls in place. As the glue dries, the piece will be come surprisingly sturdy. 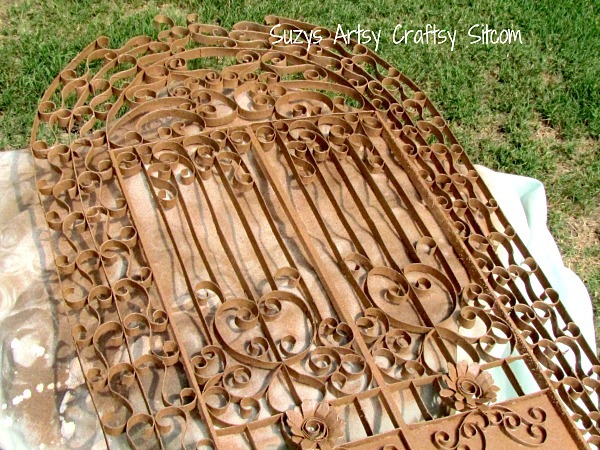 I chose a textured brown Krylon spray paint to create the look of brown rust. I placed the finished project outside and simply sprayed it from all angles. It took entire can of spray paint for this project. The final project achieved that old rusty look I was going for. 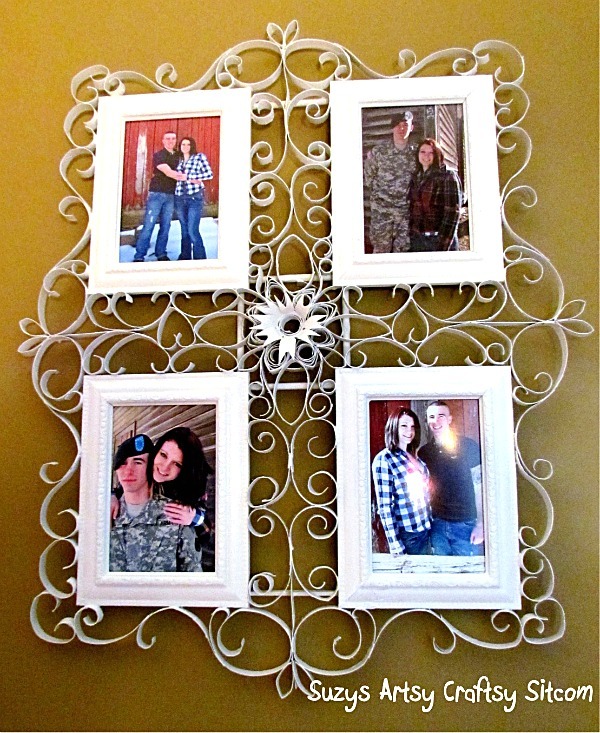 For more details on the techniques used to create this project, be sure to check out my other faux metal wall art tutorials. 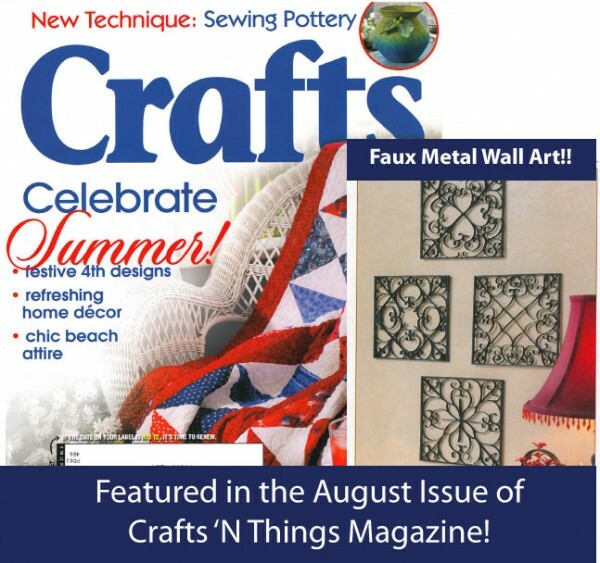 My original toilet paper tube project is my Faux Metal Wall Art which was featured in the August issue of Crafts ‘n Things Magazine! 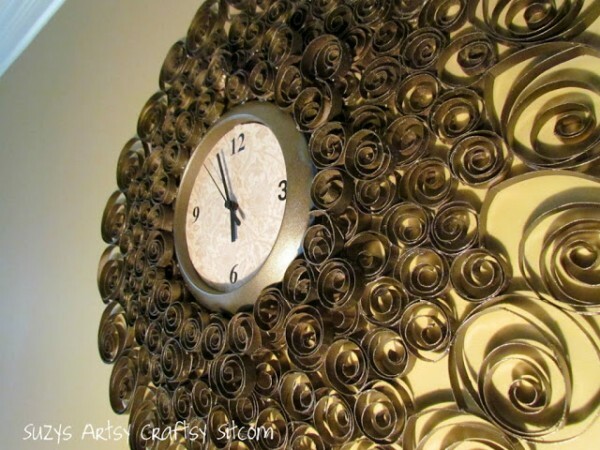 My Metal Filigree Frame and my Faux Brass Wall Clock. And you would never know these all started off as an innocent little toilet paper tube! For over 200 tutorials for all ages, be sure to visit my Tutorial Page!